#AW1 40 WAYS TO INCREASE THE NET INCOME Plus Bonus CD! The Essential HandBook for Landlords Looking to Boost Their Income. Finally! A reference book for landlords and property owners who want to increase their side (ancillary) income. This handbook is a resource for landlords and property managers. It helps you find clever ways to generate more income from your rental properties. It also helps you see the potential in property before others do and that helps you buy diamonds in the rough. * How to make additional money, over and beyond your rents, so you can build a financial cushion, stop living rent check to rent check, and operate a truly profitable rental business. * Broaden what you think is possible for a landlord, including a non-traditional landlording approach using Airbnb which is growing daily in popularity nationwide. 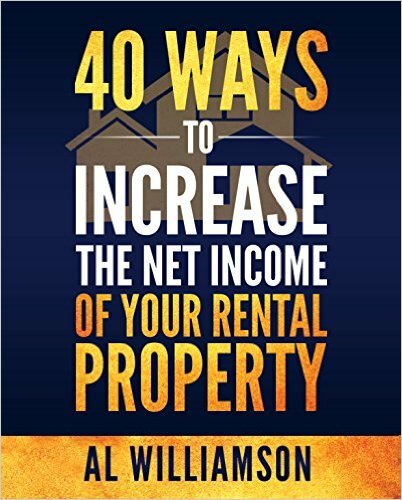 All this and more is included in this new 110 page handbook, as 40 mini-business plans are revealed to increase the net rental income of your rental property. List price for both book & CD is $49.95! Exclusive special for MrLandlord.com, only $39.95! !